Head-to-head comparison chart between Office 2010 vs Office 2007, giving clear idea about the latest features in Office 2010. 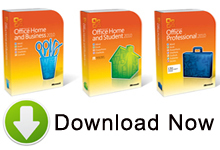 Since Office 2010 has gone out there for sale, a lot of folks have been repeatedly asking why they should buy the new Office version. In our last post, we answered this query by describing Office 2010 features in details. In other words, many folks are just looking for a head-to-head comparison chart between Office 2010 and office 2007, detailing what’s new Office 2010 has to offer to existing Office 2007 users. So, there you have a quick and clear comparison chart between Office 2007 and Office 2010, giving bit-by-bit comparison of Office 2010’s latest added features over Office 2007.